July 4th is right around the corner, and it’s time to get ready for the big day! 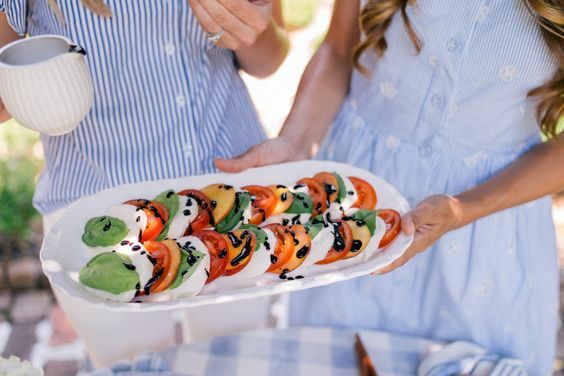 If you’re out of decor ideas for your party, try these bandana DIYs! 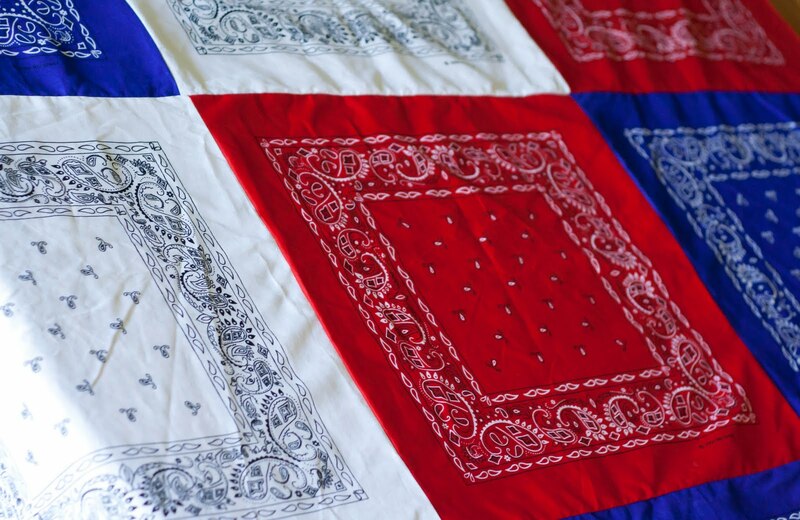 Make a simple patriotic tablecloth or banner for the big event, or use bandanas as napkins! 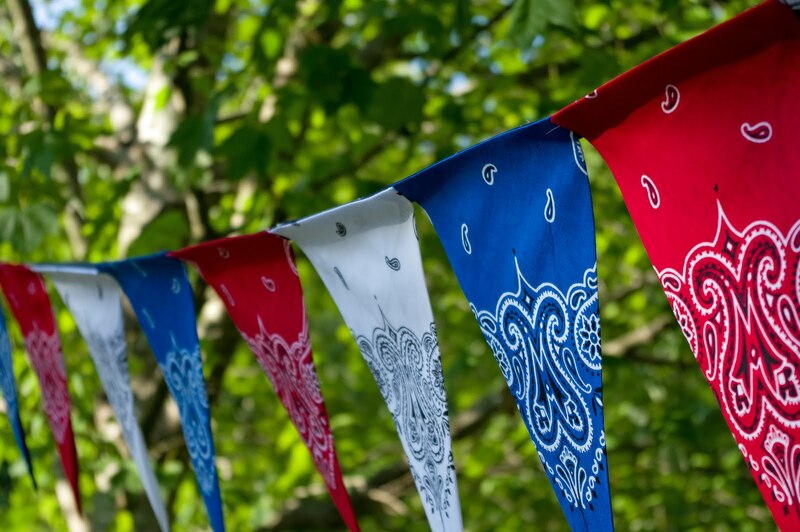 For unique Fourth of July decor, try using bandanas! 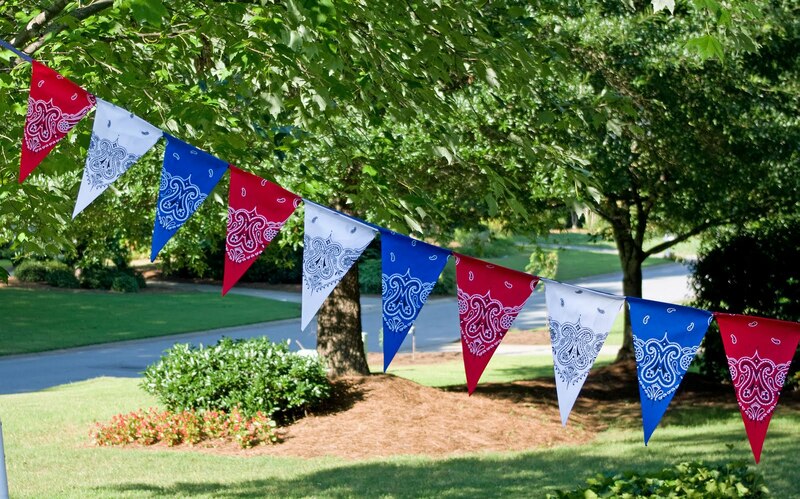 Stitch together a bandana tablecloth, or make a banner to hang in your yard for your Fourth of July party. You can also use bandanas as patriotic napkins! 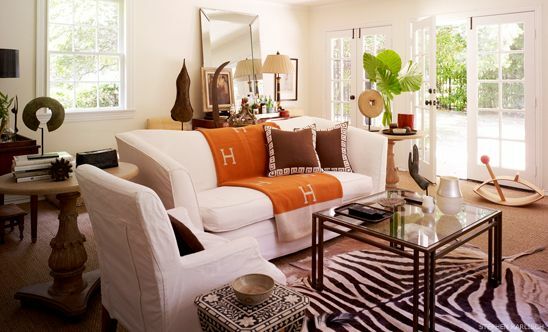 Keep reading for these 3 simple DIY projects that are simple enough to make at the last minute! First, wash and iron your bandanas. 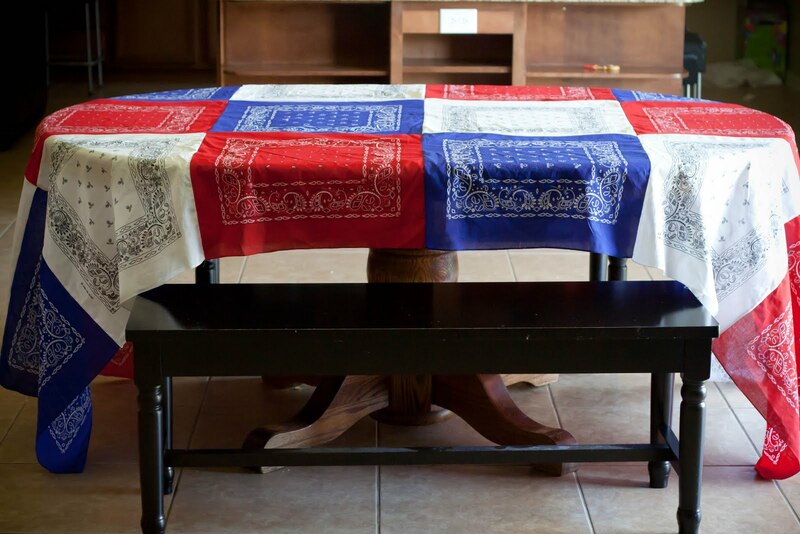 Then, arrange your red, white, and blue bandanas to plan out how your table cloth will look like. Make sure you have enough bandanas to make an entire table cloth. Next, stitch the bandanas together using a sewing machine. To make this fun banner, cut up your bandanas into 4 squares. 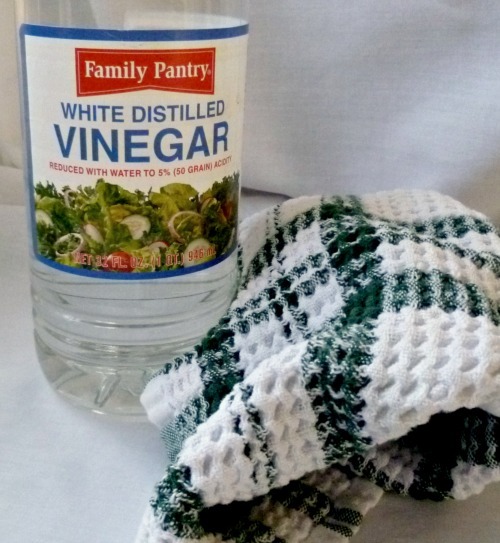 Fold each square into a triangle and iron it to get nice, straight creases. Attach the triangles to a ribbon using a hot glue gun. 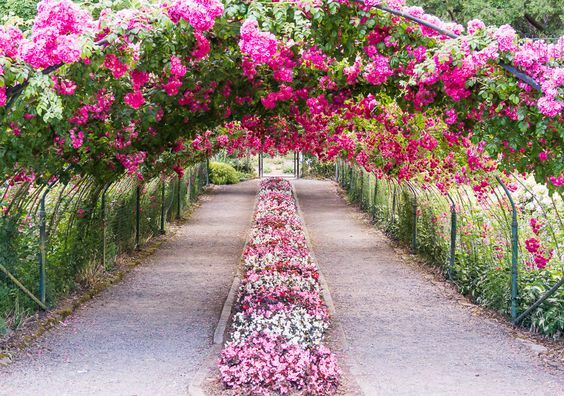 Hang it up over your table at your party, or on your front porch! 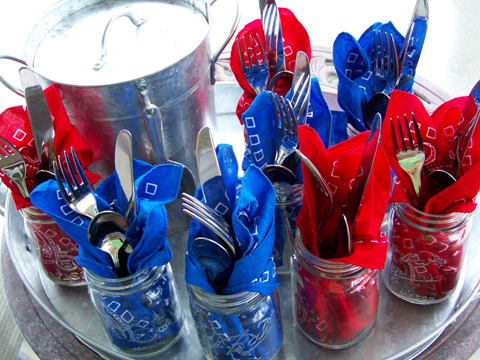 Fill mason jars with cutlery and use bandanas as napkins. 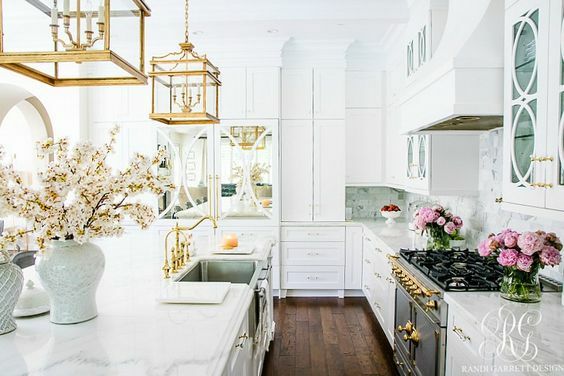 It’s a great and patriotic way to keep everything organized. Photos: Me and My Insanity, Hatter and Hare Events, Babble.